Welcome to Wilmette. This Village is committed to providing an atmosphere to help your business thrive. Near Chicago along Lake Michigan, the Village of Wilmette provides shopping in both a quaint historic downtown setting, as well as in traditional suburban shopping centers and business districts. Acknowledged nationally for its quality of life, Wilmette was recently selected as one of the ten “Best Places to Raise Your Kids” by BusinessWeek. Residents are attracted to Wilmette for its schools including nationally renowned New Trier High School, as well as superior private schools. Wilmette is a great place to live, work, shop and play. 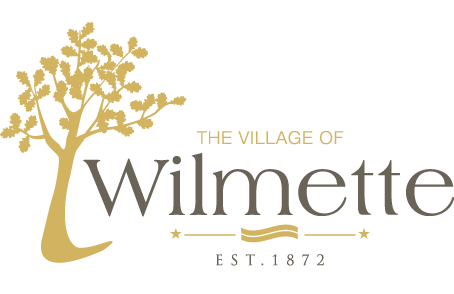 The achievement shown by Wilmette schools is shared by Village government. Not only has the Village maintained high standards of public service, but also an AAA credit rating, the highest awarded, illustrating Wilmette’s responsible financial management. Wilmette is one of the select communities to have both nationally accredited Fire and Police Departments. With a history of great architecture, Wilmette is the site of the Baha’i House of Worship, a landmark recognized as one of the Seven Wonders of Illinois, which receives an estimated 300,000 visitors annually. This amazing structure is one of 30 historical landmarks throughout the Village. The residents themselves are among the wealthiest and most educated in the Chicago area. More than 70% of Wilmette residents earned a bachelor’s degree or higher. Their purchasing power at $500 million is twice the national average. Perfectly situated just north of Chicago, Wilmette is bordered on the east by the spectacular beachfront views of Lake Michigan, and to the west by the Edens expressway, the convenient transportation link for commuters, shoppers and visitors. Transit options for Wilmette include the Metra in Village Center, CTA Purple Line trains at Linden Square, and PACE busses throughout the Village. Free street parking is also readily available. Each of Wilmette’s seven commercial districts has its own unique identity to suit the needs of businesses. Public transportation and free street parking provide convenience and accessibility to shoppers and employees. Village Center, east of Green Bay Road and centered around the Metra Station, is Wilmette’s central business district. The Green Bay Road District extends the length of Wilmette along one of the North Shore’s most heavily traveled streets. Heading east toward Lake Michigan and served by the CTA Purple line to Chicago is Linden Square. The Spanish inspired architecture of Plaza del Lago makes it one of the North Shore’s most distinctive shopping centers. Home to restaurants, retail and service businesses, the Ridge Road District is known as “Antique Row” for its number of antique dealers. Most of our national retailers are found in the Skokie Boulevard and West Lake Avenue Districts, where traffic counts reach 140,000 vehicles per day.